Lately I feel like I have been placed in situations and positions challenging my confidence. That is, many of the things I am taking on are forcing me into positions outside of my comfort zone. Being a father of 2. Playing lead guitar for a worship band. Living in a new city. Making new friends at church. Learning how to be a Christian outside of being a minister. The funny thing is, I don’t know if I have really pursued any of these opportunities or experiences with much vigor. Several of these have just found me, and I am not someone to say no because I am a pleaser. Nevermore is my confidence shaken when I have to make smalltalk with people I don’t know or renew relationships with folks I haven’t really talked to in several years. Both of those social situations are hitting full-force this week as I am at a youth minister’s conference promoting Teen Lifeline. Being a well-worn introvert, I loathe “small-talk”. There is a lot of that this week catching up with people I have not seen and also meeting new people. My attitude needs to change on adapting to these kinds of situations, but it really hits at something deeper at my core. I have a lot of fear to overcome. Fear that everyone else will see me for who I think I sometimes am. Yet this week, I had a “striking realization” as Epiphany affords us to reflect upon over these few weeks. 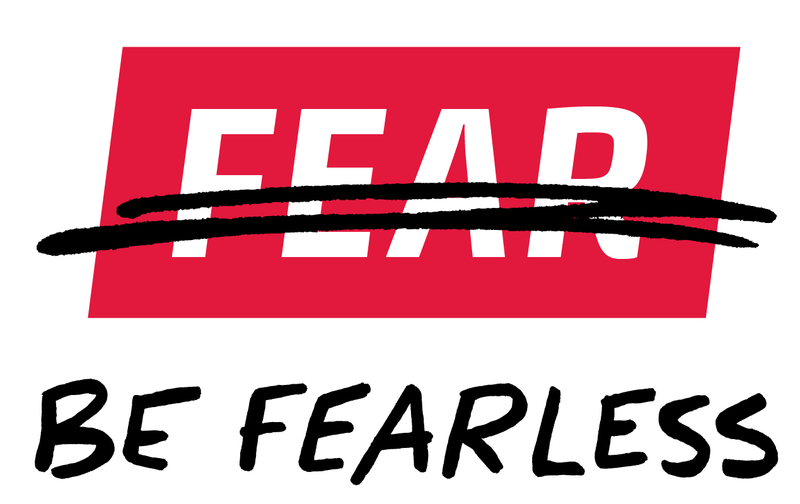 Two of our speakers have focused exclusively on living without fear. One speaker, Randy Harris (one of my top ten favorite speakers), spoke of a virtue of a Christian as being “absolutely fearless”, “infinitely happy”, and thus “always in trouble”. Another speaker, Bob Goff (whom I received a really nice hug from) talked about bringing “everyone to the feet of Jesus”, thus eliminating the need to fear. These messages have been haunting me over the last few days just as the message of Epiphany. Jesus is here. He is real. The signs in the Old Testament were true. God did as he promised. This changes everything for us. If Jesus really defeated sin on the cross and subdued his enemies under his feet, then what do I need to worry about? It seems like the bible keeps telling us not to fear because everything is taken care of. If we really believe the gospel, maybe we would live more into this reality. This makes me want to live with more confidence and purpose, not fearing what ways I might miss the mark. With this, it seems like living out the gospel as Jesus really intended is a very adventurous and privileged way to live. We just get to love people and serve them. We can live knowing the more we pour ourselves out, the more we get to be filled. We live doing the things others want to do but just never get around to doing. If we lived this way, it would be a true epiphany. What do you think about this? What would your life look like if you lived without fear? This entry was posted in Epiphany, Liturgical Year, Uncategorized and tagged confidence, Epiphany, Fear, Gospel. Bookmark the permalink.